Hello everyone hope you are well. How are you spending your holidays? This time of the year for me is about spending quality time with my family. Now today's post is in collaboration with Zaful. I got this gold jacket from them and I fell in love with it at first sight. It goes well with the festivity around. This jacket is perfect for adding a little oomph factor to a boring outfit. If you are looking for a gold jacket, you might wanna try this. Happy Holidays y'all. Till next time, bye. This metallic bomber is everything! Love this look! Wow you look amazing. Beautiful Outfit ! Your bomber jacket is bomb! Looove it! That Metallic bomber is everything! 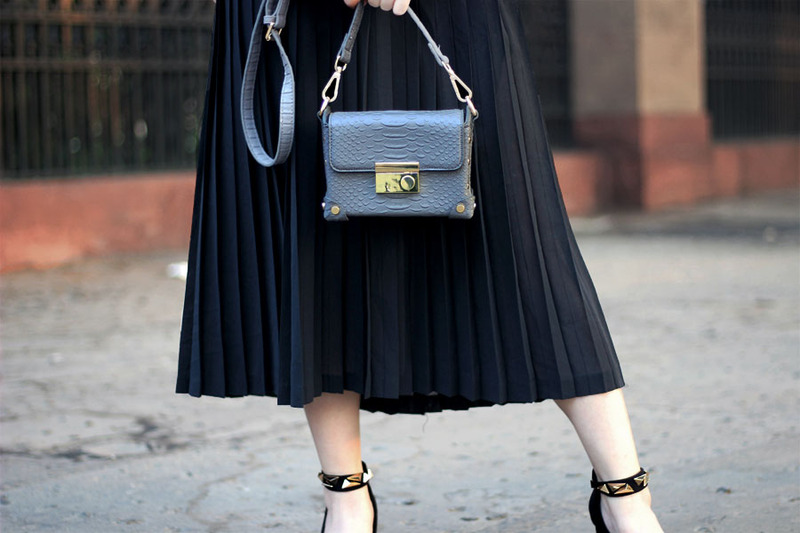 Metallic fabrics are one of my favourite trends of the season and I LOVE the way you styled it! Amazing look! 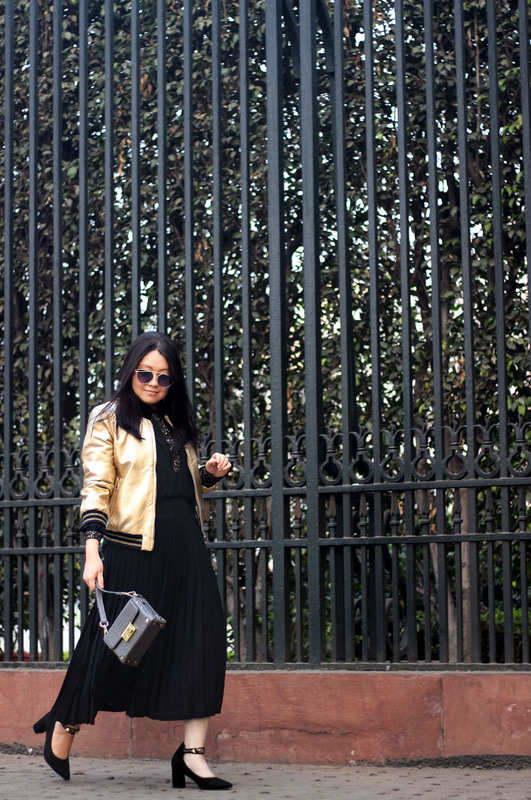 I love the bomber jacket and the midi skirt! Gorgeous look, dear. Love all the details in this look. Schöner Look – vor allem deine Ballerinas haben es mir angetan! Love this jacket so much - how perfect for this time of year! 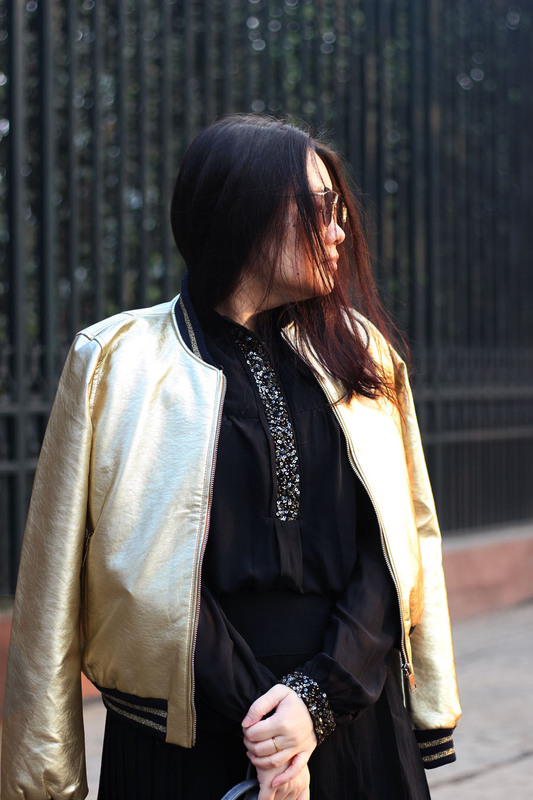 Love this metallic bomber and even more, I love how you've draped it over your shoulders. Gorgeous bag too! 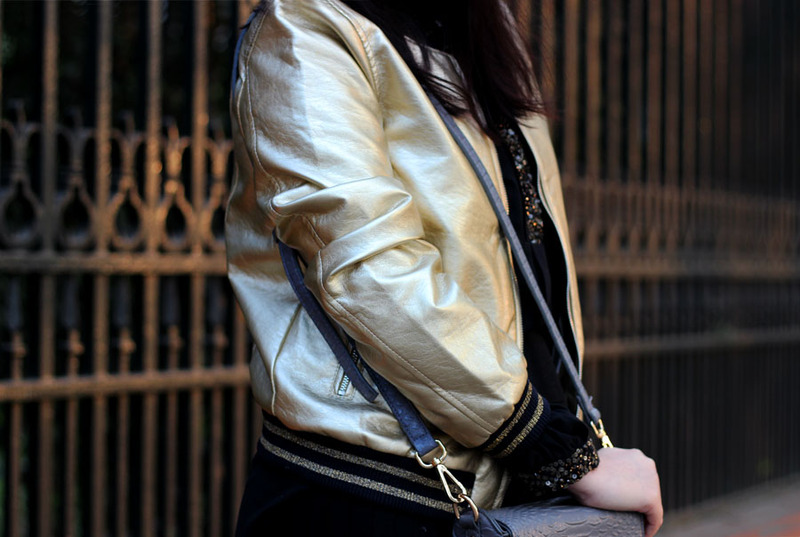 Love the metallic bomber look! Great bag! Adore these photos and all the glitter + gold. Happy holidays!